Each generation responds differently to technology, education, communication and their own health. Workers in their early twenties generally have different health concerns, interests and preferred learning methods from those in their fifties or sixties. During a session titled Intergenerational Wellness: Engaging the Most Diverse Workforce in History at the Health Benefits Conference & Expo, Brett Powell, vice president and wellness consultant for the American Institute for Preventive Medicine, suggested that wellness programs need to reach the interests and motivations of each generation to improve wellness outcomes. According to the International Foundation Workplace Wellness Trends survey, 2017 Results, three in four (75.2%) organizations use some type of incentive to increase participation in wellness programs and encourage healthy behaviors. Generational economics, a term coined by Powell, tells us that Millennials generally prefer cash and Baby-Boomers prefer discounted health care premiums based on their life experiences. By providing both equally-valued options,wellness outcomes rise. 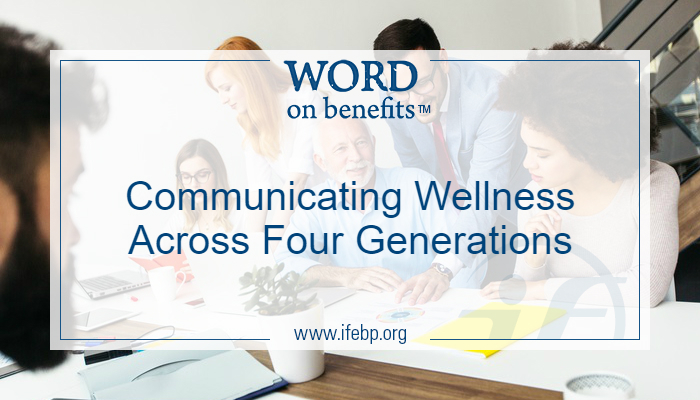 Get input from all generations – Include representatives from all generations on your wellness committees. Speakers/Instructors – Provide a variety of topics from speakers of a variety of ages. 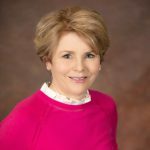 Communication – Use multiple modalities. Ask your employees how they prefer to receive information. Mix your message – Use messaging to include interests other than health and wellness to motivate your workforce. Wellness goals can sometimes be sold without mentioning diet or exercise. Healthy eating can be encouraged by promoting locally sourced, environmentally friendly farmers’ markets or starting a garden club. Consider increasing employees’ number of steps by offering workers the option to walk around the building as a stand-up meeting or to socialize with co-workers and build community. Wellness outcomes can be achieved without mentioning the terms health, fitness or exercise. Mixing up incentives to include paid time off and concert and event tickets may motivate the younger set who highly value work-life balance. Knowing each generation’s general motivations is instrumental in achieving desired outcomes. The American Institute for Preventive Medicine survey on generational wellness shows other common generational preferences. Older groups (ages 50+) significantly like health risk assessments more than younger groups. Younger individuals (ages 18-24) are significantly more likely to select a weight-loss program compared with other groups. On-site workshops or speaker events are more popular as age increases. Interest in disease prevention increases with age. Mobile apps for health and fitness information are used more by younger groups than older groups. Individuals ages 33 to 69 are more likely to participate in a lunch-and-learn event on-site with an expert speaker than other groups. Younger groups are most likely to participate in an on-site exercise class.